Hold your breath for a moment ladies and gentleman as what we are about to tell you may just blow away your mind. The tiny creature with a permanent grumpy face is worth $100 Million making him the Bill Gates or Warren Buffet in the pet world. 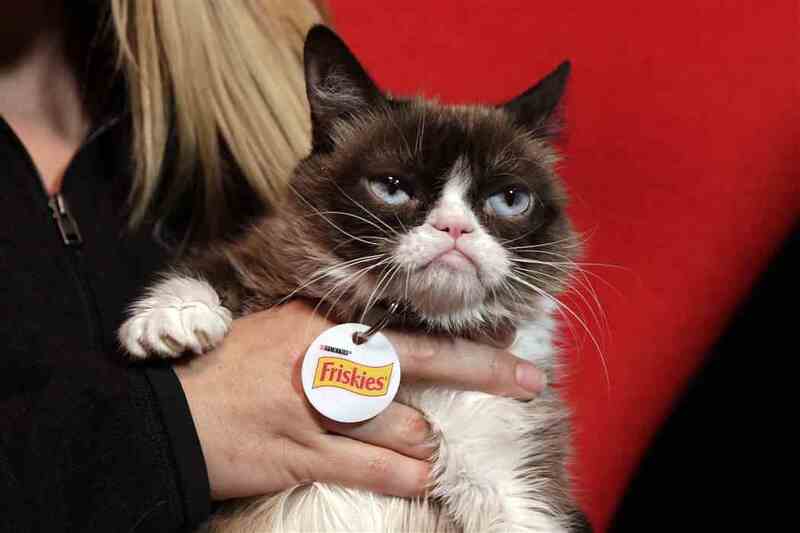 While she was named Tardar Sauce by her owner Tabatha Bundesen, she became an Internet celebrity who rechristened her as Grumpy Cat. She is one of the most popular subjects of Internet memes and has more than 7 million followers on Facebook, 50,000 plus followers on Facebook and has received over 17 million views on her official YouTube channel. Grumpy Cat has several licensed products in the market and has two books written on her titled Grumpy Cat: A Grumpy Book and The Grumpy Guide to Life: Observations from Grumpy Cat.